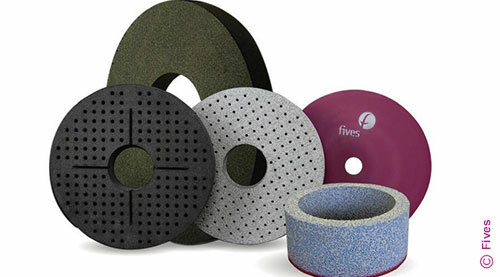 Fives delivers custom engineered solutions of conventional and superabrasive grinding wheels from Gardner abrasives. Delivering ultimate precision and performance, Gardner regulating wheels are custom-formulated from a range of carefully selected high performance materials, proven engineered formulations and established design criteria to meet and exceed customer expectations. 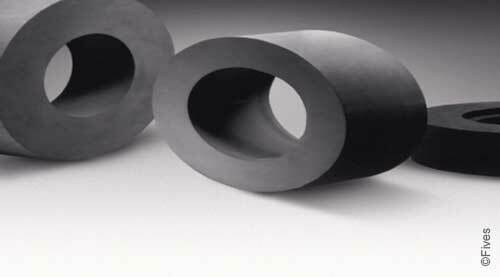 Utilized during centerless grinding, Fives designs and engineers a wide array of regulating wheels used to rotate a work piece and assist in pulling it through the application. By controlling the work piece rotational speed and feed rate, regulating wheels allow for the grinding wheel to grind the part instead of the part spinning during the operation. Fives’ application engineers are available to aid in recommending the right speed of the Gardner regulating wheel to produce the best results.